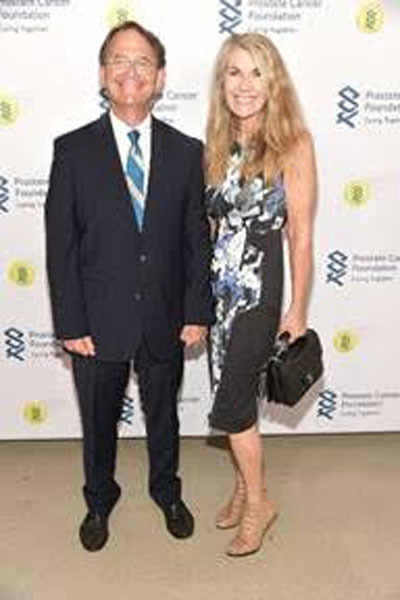 The Prostate Cancer Foundation (PCF) hosted the 19th Annual Gala in the Hamptons at the Parrish Art Museum in Water Mill, NY during the 14th Annual Charles Evans PCF Pro-Am Tennis Tournament weekend which raised $4 million. Founder Michael Milken and The Gala in the Hamptons weekend hosts and sponsors welcomed guests to enjoy, engage and be entertained while helping to fund groundbreaking discoveries in cancer research. 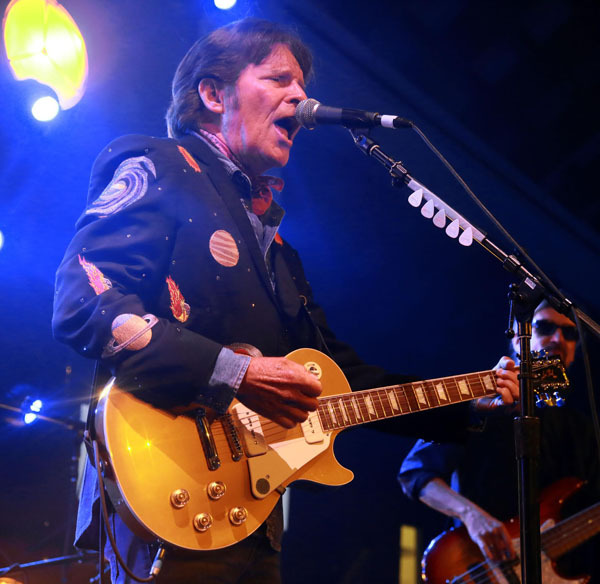 This year’s entertainment was provided by Grammy® award winning musician John Fogerty. Notable attendees included: Michael Milken (Founder), Dr. Jonathan Simons, Plum Simons, Senator Lindsey Graham, U.S. Secretary of Treasury Steven Mnuchin, Bonnie Pfeifer Evans, John Fogerty, Richard Merkin, Nick Bollettieri, Robert Citrone, Joel Pashcow, Tom and Ann Tenenbaum Lee, Glenn Myles, Jennifer Myles, Mitch Modell of Modell’s Sporting Goods, Carissa Kranz, Jason Rabin, Nicole Rabin, Igor Tulchinsky and Valentina Pavlenko, George Walker, Nancy Walker, Scott Lipsky, Daniel Nestor, Natasha Nestor, Alex Bogomolov Jr., Luana Bogomolov, Cyril Saulnier, Scott Davis, Shelly Davis, Graydon Oliver, Rick Leach, Alyssa Leach, Amer Delić, Santiago Gonzalez, Chris Haggard, Georgy Chukhleb, Ashley Fisher, Treat Huey, Robert Kendrick, Jared Palmer, John Lloyd, Jason Pinsky, Wayne Ferreira, Adam Finerman, Ralph Finerman, Bill Miller, Linda Miller, Chantelle Boulle, Anthony Boulle, David Rabin, Nicki Rabin, Heba Aberdin, Suhail Khalib, Fabrice Martin, Graydon Oliver, Natasha Oliver, Seth Bernstein, Maria Bernstein, Jay Bernstein, Allison Bernstein, Jonathan Schneider, Krista Johnson, Don Johnson, Larry Leeds, Patty Manoff, Mark Manoff and Richard Merkin. Opening the evening’s benefit dinner, Michael Milken asked a series of icebreaking questions covering topics about the weekend’s festivities which created a relaxed atmosphere and gradually eased attendees into the evening ahead of them. He followed with a special thank you to guests for their consistent support and commitment to the Prostate Cancer Foundation. 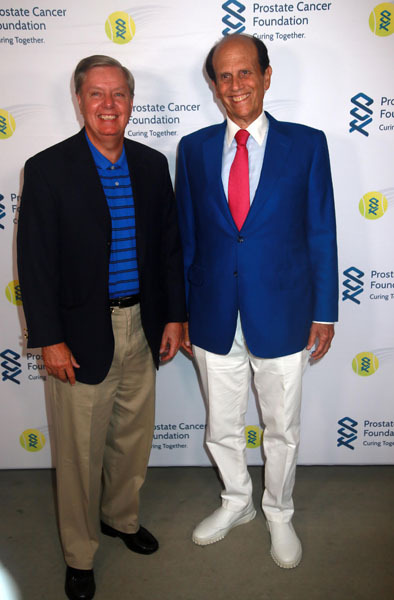 Every year, the Charles Evans PCF Pro-Am Tennis Tournament raises awareness of prostate cancer and supports the foundation’s efforts to eradicate the disease that strikes one in nine American men. Over the past 14 years, the tennis tournament has raised $29 million to fund the PCF’s scientific research, while providing amateur players an invaluable experience playing alongside well-known tennis professionals. 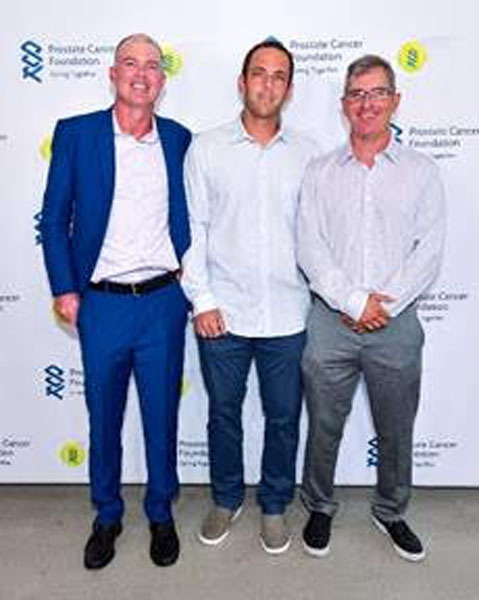 PCF Tennis Director Anthony Boulle welcomed legendary tennis coach Nick Bollettieri to the stage to reflect on his remarkable career training Serena and Venus Williams, Maria Sharapova, Boris Becker and more. In a speech paying tribute to the late Senator John McCain, who recently passed from an aggressive form of brain cancer–glioblastoma–Milken expressed the importance of raising money to fund cancer research. The Prostate Cancer Foundation has made it possible to identify drivers behind various types of cancers outside of prostate. Specializing in early stage research, PCF has also advanced brain, bladder, lung and breast cancer research. PCF’s President and Chief Executive Officer Dr. Jonathan W. Simons touched on the progress made through their life-changing research. For instance, the chances of dying and suffering of prostate cancer has reduced dramatically by 50%. The PCF Young Investigators program has identified an impactful group of future research leaders who will bring new ideas that will move the field of prostate cancer research forward. Since it’s inception in 2008, the Young Investigators Award recipients have researched 10 FDA approved treatments. Longtime supporter of PCF, CEO Mitch Modell of Modell Sporting Goods, shared that his connection to the grave disease stems from the battle a family member endured. Modell donated $101,055 in support of the Prostate Cancer Foundation. The 2018 Pro-Am Invitational weekend began on Friday, August 24th with a dinner reception hosted at the private estate of Marc Leder. The first three rounds of the tennis tournament took place on Saturday morning, August 25th, 2018 on the private courts of Bill Ackman, Michael & Margie Loeb, Josh & Marjorie Harris, John & Jenny Paulson, Jane Lauder & Kevin Warsh, George Walker, Tom & Ann Tenenbaum Lee and Leon & Debra Black. Prior to Saturday’s cocktail reception, Michael and Margie Loeb hosted a luncheon at their Southampton, NY estate in celebration of the Gala in the Hamptons. The Shinnecock Tennis Club provided the tournament site for the final rounds of the pro-am matches on Sunday. The round robin tournament, played over two days, pairs 32 amateur tennis players with a current or former member of the Association of Tennis Professionals (ATP), which includes many of the top ranked doubles players or a tennis legend. The 14th Annual Charles Evans PCF Pro-Am Tennis Tournament champions included Mark Ein with Fabrice Martin in Group 1, Chris Oberbeck with Alex Bogomolov in Group 2, Amy Griffin with Jared Palmer in Group 3 and Bob Hogan with Graydon Oliver in Group 4. Every year, the Gala in the Hamptons encourages support from organization members and tennis professionals plus amateur athletes. 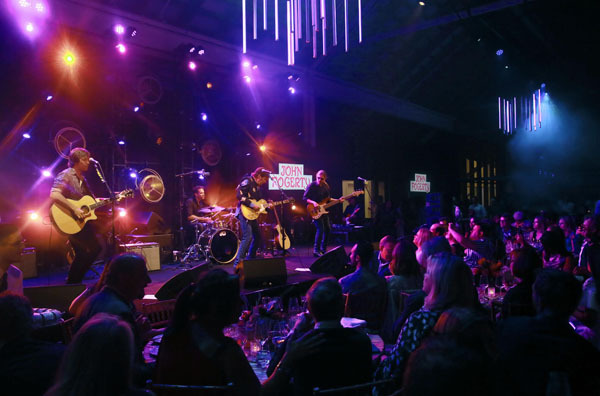 Celebrating everyone’s efforts, Grammy award winning musician John Fogerty performed at the lavish dinner party and ended the night in high spirits on the dance floor. The 2018 tennis professionals included: Treat Huey, Edouard Roger-Vasselin, Scott Lipsky, Daniel Nestor, Alex Bogomolov Jr., Don Johnson, Cyril Saulnier, Robert Kendrick, Vince Spadea, Scott Davis, Graydon Oliver, Jared Palmer, Rick Leach, Amer Delic, Santiago Gonzalez, John Lloyd, Jason Pinsky, Chris Haggard, Wayne Ferreira, Georgy Chukhleb, Luke Jensen and Ashley Fisher. The Prostate Cancer Foundation, founded in 1993, is dedicated to discovering groundbreaking cancer research programs thanks to the steadfast commitment from the organization, research scientists and supporters. Weekend hosts and sponsors of the 2018 Charles Evans PCF Pro-Am Tournament & Gala in the Hamptons include: Michael and Lori Milken, Bill Ackman, Steve and Alexandra Cohen, Bonnie Pfeifer Evans, Larry Gagosian and Chrissie Erpf, Joshua and Marjorie Harris, Jane Lauder and Kevin Warsh, Tom and Ann Tenenbaum Lee, Marc Leder, Richard and Karen LeFrak, Michael and Margie Loeb, William and Phyllis Mack, Richard Merkin, Modell’s Sporting Goods, Glenn and Jennifer Myles, Joel Pashcow, John and Jenny Paulson, Artie Rabin, Cliff and Barbara Sobel, Igor Tulchinsky and Valentina Pavlenko, George and Nancy Walke and Whispering Angel Wines. The Prostate Cancer Foundation (PCF) is the world’s leading philanthropic organization funding and accelerating prostate cancer research. Founded in 1993, PCF has raised more than $750 million and provided funding to more than 2,000 research programs at more than 200 cancer centers and universities. The PCF global research enterprise now extends to 22 countries and funds a robust research portfolio. PCF advocates for greater awareness of prostate cancer and more efficient investment of governmental research funds for transformational cancer research. Its efforts have helped produce a 20-fold increase in government funding for prostate cancer. For more information, visit pcf.org.